Java is a programming language which helps us perform any type of program. Java is used to develop mobile apps, web apps, desktop apps, games and much more. Java can reduce costs, drive innovation, and improve application services as the programming language of choice for Internet of Things, enterprise architecture, and cloud computing. Nowadays, it is a very widespread language and it is becoming increasingly important both in the Internet and in computer science in general. 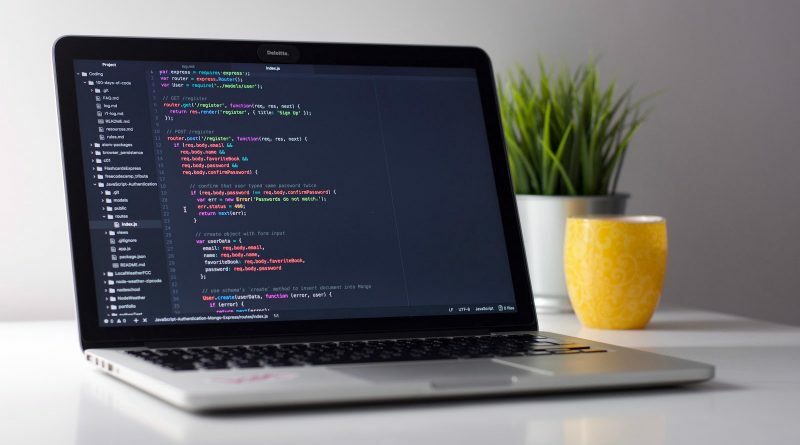 Java is the language that connects applications to data, data to people, and people to their digital lifestyle. James Gosling developed Java at Sun Microsystems and released it in 1995. One of the main characteristics for which Java has become really important is that it is a language independent of the platform, i.e., a Java program can work on any computer and runs through all types of operating system in the market. It is a significant advantage for software developers, because earlier they had to make a program for each operating system, for example Windows, Linux, Apple, etc., but with the development of Java things have become easier. The Java mechanism has been created for each system that acts as a bridge between the operating system and the Java program and allows the latter to be perfectly understood. Platform independence is one of the reasons why Java is interesting for the Internet, since many people must be having access with different computers. But it does not stop there, Java is developing even for different types of devices besides the computer like mobiles, agendas and in general for anything that happens to the industry. Currently, Java is used in a wide range of possibilities and almost anything that can be done in any other language can also be done in Java and often with great advantages and accuracy. With Java, we can program dynamic web pages, with access to databases, using XML, with any type of network connection between any systems. In general, any application that we want to do with access through web can be done using Java. Java is powerful, versatile and multi-platform and you can get it for free, with most of its code free and open. It is also the language for the Android development environment, the leading mobile operating system worldwide. The requirements and demands of Java developers have grown exponentially over time. Recruiting a Java expert developer can be complicated, even for experienced recruiters who are also concerned about saving time and money. The online Java tests come to the rescue, to give recruiters, a reliable, economical, and efficient and above all, fast filter option to choose their developers. The object-oriented programming language, Java has predominantly ruled the world of technology experts for several decades. The best way to measure the skills and expertise of a candidate in Java is firstly to evaluate the theoretical concepts of Java, determine the level of practice with coding tests, observing capabilities for debugging codes. One can use the online java tests to get the best technological experts for their company provided by various websites on the Internet. They offer the best impersonation of online coding of Java tests and a well-stuffed library of programming questions to evaluate the skills of the candidates on the Java concepts. The online library is updated on a regular basis and it is made sure that the questions are tailored to fit the profile that is required and opted for. The basic and most important part of testing for Java development is to evaluate the practical programming and coding skills. The question library consists of questions ranging from the basic knowledge of the java language to the advanced level that makes it easy for recruiters to hire the developers with varied levels of difficulties. Basic Java Test that is suitable for the java developers with zero to two years of experience. Java intermediate test that is suitable for java developers with an experience of two to ten years. They are used to basically test the practical knowledge of programming along with basic knowledge of theory of Java. Java advanced test that is suitable for java developers with an experience of more than ten years. The test evaluates the practical skills of programming along with knowledge of basic and intermediate level. The online Java Test is equivalent to a real online certification exam; therefore detailed examination is essential for evaluation of every type. The online websites for Java test provide accurate and exact reports based on the performance by different batches of the candidate that will help you to carry out a detailed evaluation of the coding and programming capabilities of the candidates. They allow users to carry out recruiting and personal selection events, both in person and online. The users can now get customized questionnaires and reports for candidates who take the assessment. They are an evaluation platform that focuses on helping the recruiters and the teachers to efficiently and accurately measure the level of knowledge of an appraised person that they need. Sending of invitations to the candidates. Collection of automated and evaluated test reports from your candidates to the preselected list. These evaluated reports depict the full analysis of the performance based on knowledge, skill, understanding and application based on several aspects such as syntax correction, debugging and problem solving. Java test is ideal for pre-employment screenings as it examines the Java developers’ abilities to solve the problems and recognize when to leverage the functionality provided by the Java in order to write powerful and maintainable code. The online tests also offer protection from cheating and frauds and verify users before they appear for the exam. They are candidate friendly as the tests are short and candidates can use available resources on public platforms, and provide valuable feedback at the end of the test. They generate certificates immediately and the pricing is extremely flexible and transparent with regards to the features offered. The questions are compiled by experts of the Java programming language. They are a sure-fire way to streamline the interviews.